Blake was out of town last week so my Mom decided to come out for a visit at the last minute. We had a fun filled week of shopping, eating out, chatting, playing with Sadie, and just enjoying one another's company. Blake took the camera with him so I was only able to take pictures on my Mom's last full day here. We took Sadie up to Thanksgiving Point's farm and she had a blast. 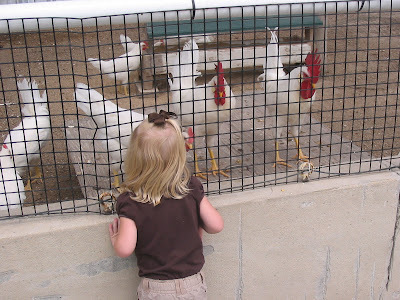 Sadie & the chickens. I was getting pretty nervous because she kept sticking her hands right by their beaks. This girl has no fear. I'm not even sure what she's feeding here but she sure enjoyed it! 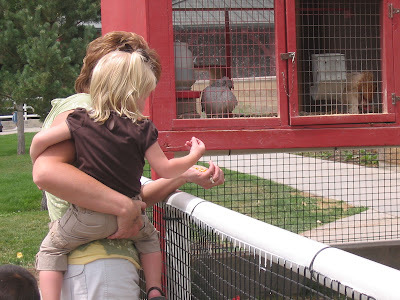 Nana helping Sadie feed the chickens. 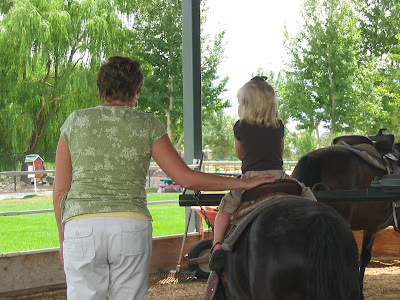 Nana & Sadie on the pony ride. Sadly, this is the best picture I got of the ride. Sadie LOVED riding the "horsies!" Sadie & the bunnies. 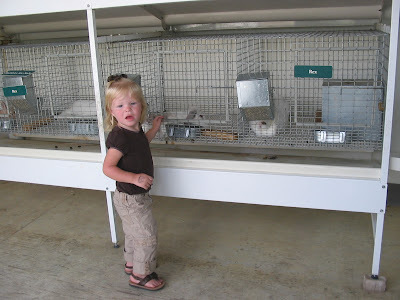 The hardest part of this adventure was Sadie couldn't figure out why she couldn't get into the cages with the animals. 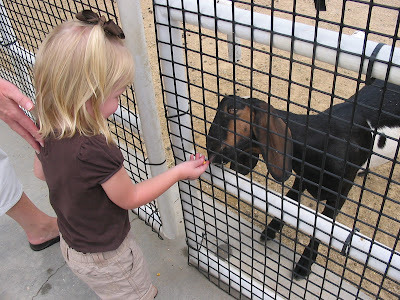 She would get pretty upset when we just wouldn't pick her up and put her right up close with the animals. Again, no fear. Those are great pictures! Your mom's hair looks really good, by the way. You would probably look good with short hair as well, Lindsey. Nothing is a worthy replacement for our time with children and grandchildren! 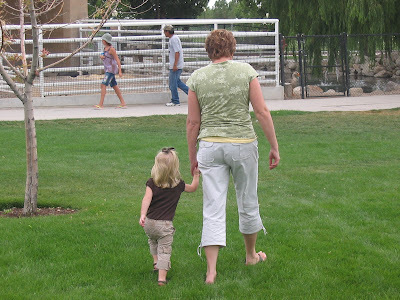 I loved spending time with you and little Sadie! Thanks for 10 wonderful days! It was just what I needed. You are a great mother and a very cherished daughter! 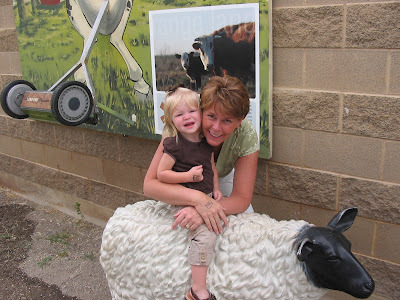 A riddle, there were two moms and two daughters that went to the Thanksgiving Point Farm. Only three tickets were bought but everyone purchased a ticket. How could that be? I love seeing 3 generations together. I'm sure it is really special for mothers to see their daughters as mothers. How fun! These pictures are choice. It warms my heart to know you all had such a good time! Ummmm.....hi. You look just like your mom! I'm jealous, I wish my mom would come stay with me for 10 days! !